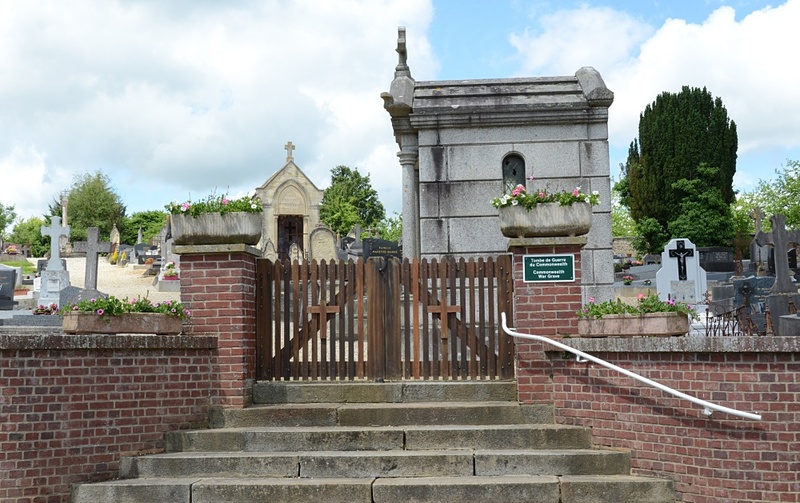 Cambremer is a village 19 kilometres south-west of Pont L'Eveque, and 13 kilometres west of Lisieux. The communal cemetery is on the right of the D.101 road from Cambremer to Crevecoeur, and is 300 metres from the church. 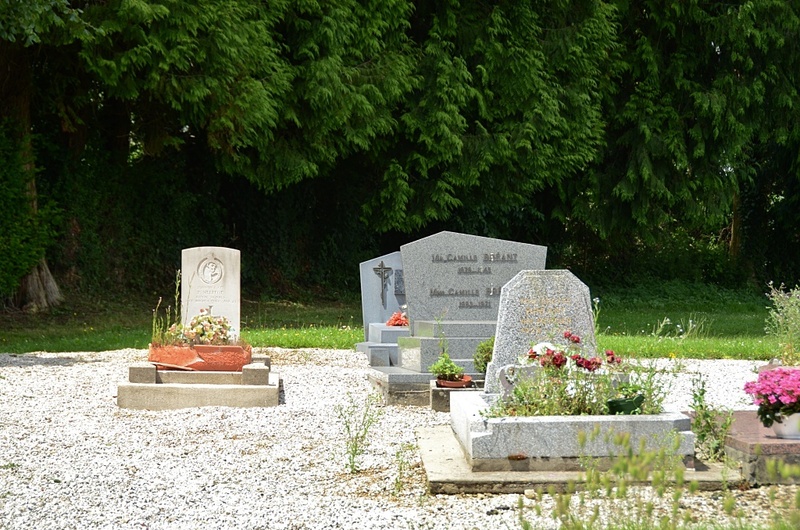 There is 1 Commonwealth burial of the 1939-1945 war here, near the southern corner of the cemetery. 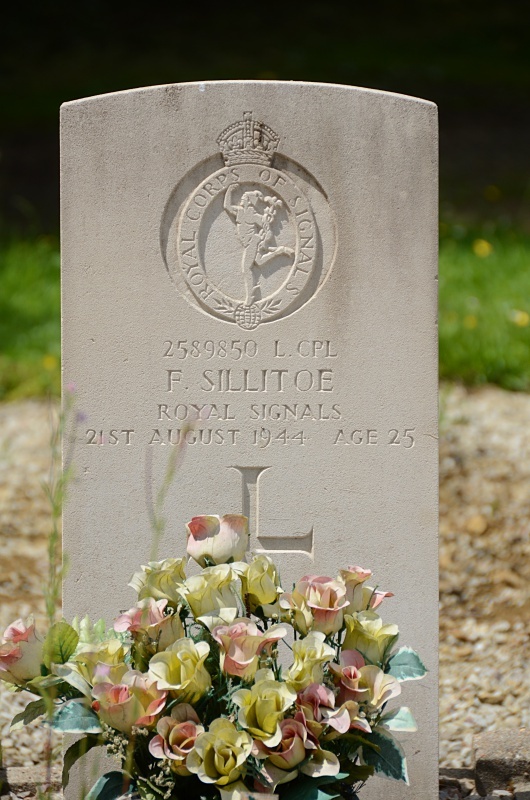 2589850 Lance Corporal Fred Sillitoe, 49th Div. Sigs., Royal Corps of Signals, died 21st August 1944, aged 25. Son of Fred and Elizabeth Adam Sillitoe; husband of Stella Nancy Sillitoe.